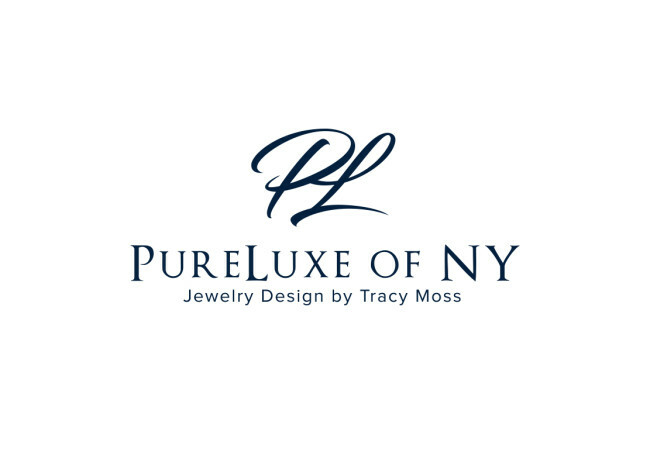 Holiday Bling- Last minute #FabULyssfind #PURELUXEOFNY- December 21st, 2017 : Divalysscious Moms – Fabulous events for expecting, new moms, and families in NYC! Introducing a new #FabULyssFind just in time for the holiday! Holiday bling that #divamamas and #glamas will love! Q: Tell the #divamoms and #glamas how you got started making these beautiful one of a kind jewel creations? A: I worked in the high end jewelry industry for many years. 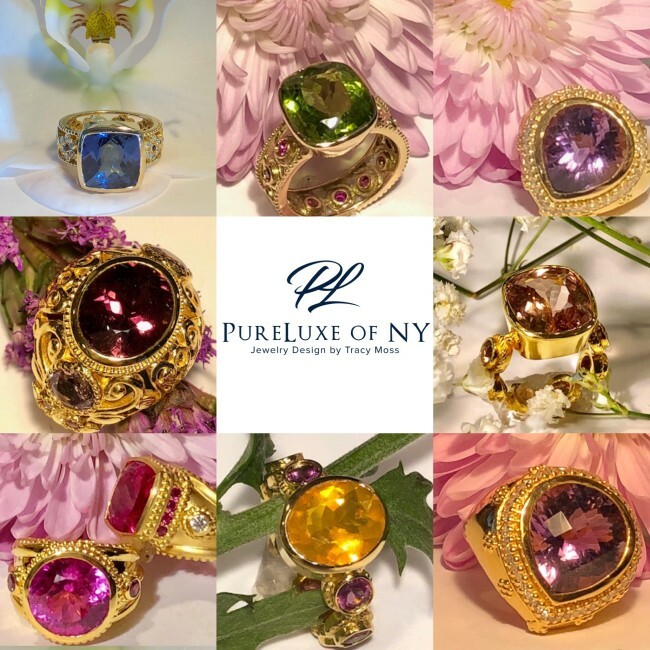 I’ve learned a lot over the years and found that what I was drawn to was the vast array of gorgeous colors you could find in precious stones. The unique colors created by Mother Nature are like nothing else! A force to be reckoned with. Q: Who is your inspiration? What inspires you to make each piece? A: My inspiration comes more from a what than a who. I’m inspired by color as well as by the jewelry of the the Byzantine/Etruscan Era. The talent the goldsmiths had then is simply BEYOND! When I studied jewelry making at The Jewelry Arts Institute, I learned the ancient art of granulation. This process involves melting tiny spheres of gold into granules, placing them in formation onto another piece of gold and then fusing them together. The process is quite challenging as there’s a very fine line between the amount of heat needed to fuse 22k gold and completely melting your work! Even with modern technology this process can be perilous. They didn’t have any of the tools we use today and their work was just AMAZING! The jewelry in Metropolitan Museum of Art is definitely a source of inspiration for me. Q: What is your background in jewelry design? A: Truthfully, I don’t have a formal background in design. I see everything in my mind’s eye and then put pen to paper. When it comes to choosing stones for my pieces, I use what I fall in love with. Sometimes that means tweaking my design to accommodate a stone. Q: What is the best way for #divamoms and #glamas to get in contact with you? Please include your email, phone number? When they contact you, should they say they are a #divamom #glama to get their 20% #divadiscount? A: I can be reached by email: tracy.moss2@aol.com or by phone/text: 917-284-4835. Absolutely say that your’re a #divamom #glama to get a 20% #divadiscount. Q: When you meet with a client, what is the first thing you ask them? A: The first thing I want to know is do they have a vision of what they’d like? Is there a color that they’re drawn to? A piece of fine jewelry should be personal. It should contain elements of what you love so that you always want to wear it. I want to make a client a piece that will be timeless not trendy. A: The short and the long answer to that question is it depends. Are we creating a brand new piece from scratch or are we modifying an existing style. All in all it takes between one and three weeks depending on the answer to the first question. Q: What if a husband wats to surprise his wife? What do you suggest he should do? A: Talk to me! Let’s figure out what he wants to surprise her with first. After that, the sky’s the limit! If he wants to surprise her with a ring the challenge will be getting her proper ring size without giving away the surprise. If there’s a ring that his wife wears all the time, try to sneak it away from her for a day or two. I can get a measurement that way. If there’s simply no way of getting this information without spoiling the adventure then we have other remedies. Q: Which is your most popular stone and design? Can someone design their own piece with you? A: Everybody’s taste is different. 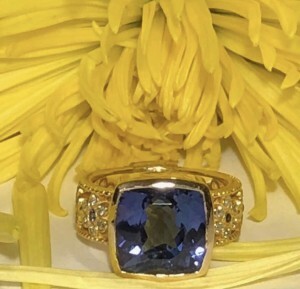 But overall I would have to say that the FabulyssFioreRing with Tanzanite, Diamonds and Sapphires is a definite favorite! That ring looks equally #fabulyss using a fancy sapphire in the center. You simply cannot go wrong with that ring! However, if you’d like to design a custom piece together it will be a pleasure! A: Yes! 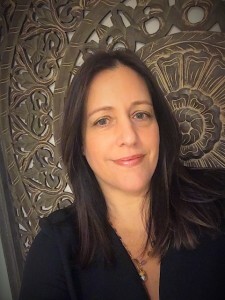 Working with people and creating fabulous jewelry is my passion. I look forward to working with you!